Brains or it will not work for you. 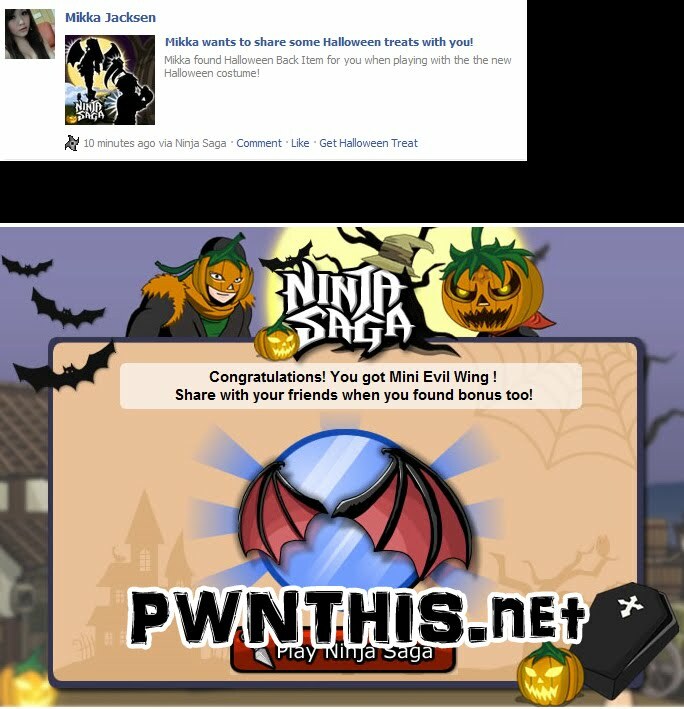 A lot of dummy facebook accounts (to post the Halloween items. 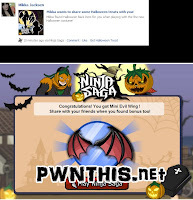 The more dummy FB account you have, the more Halloween items you get, duhs) These accounts must be your main account friend. 1. Log in Dummy Account (first). Use Dummy because TOKENS WILL BE DEDUCTED!! 10.Double click the address so it appears in the CE table. 13.Change the value to "2"
17. After you have purchased this item, a POP UP will appear. 18. DON'T CANCEL IT. Click Publish/Share it. (be sure that you have click the button for "SHARE" to share it for friends. "Marvin found Halloween Clothing for you when playing with the the new Halloween costume!" 19. Log in Another Dummy Account, and repeat from the Step 1 -19. again until you get all of those Halloween items that you want. Happy Halloween PWNthis Members :). Enjoy our trick.